Another week (24-02-2014/28-02-2014), another 49 mt of Chinese gold demand in the form of withdrawals from the Shanghai Gold Exchange vaults. Withdrawals year to date account for 418 mt. 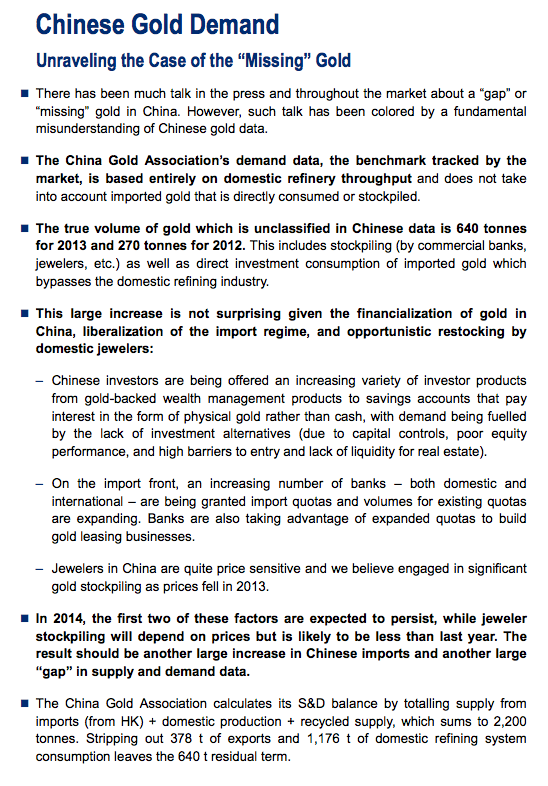 This brings February Chinese gold demand to 172 mt, down 30 % from an all-time 246 mt record in January. 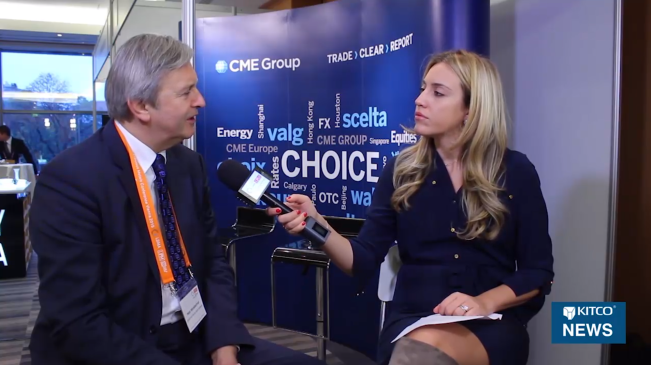 Let’s not talk about the COMEX. 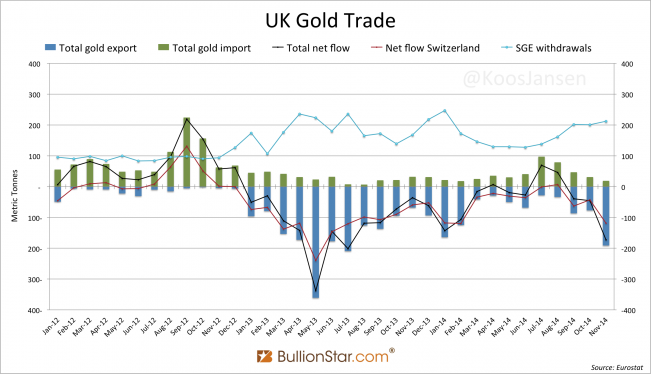 In the West there is still confusion about Chinese gold demand. 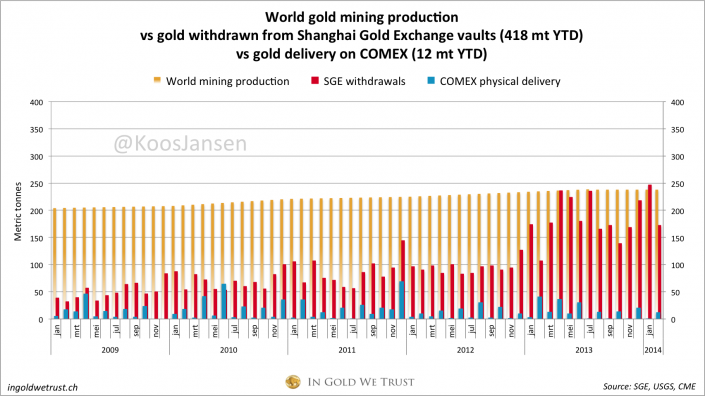 News outlets and banks are trying to figure out how in 2013 China net imported 1158 mt through Hong Kong, plus a few hundred metric tonnes through other ports, mined 428 mt domestically, while demand according to the World Gold Council was just 1066 tons. The Financial Times and the Telegraph couldn’t explain it. 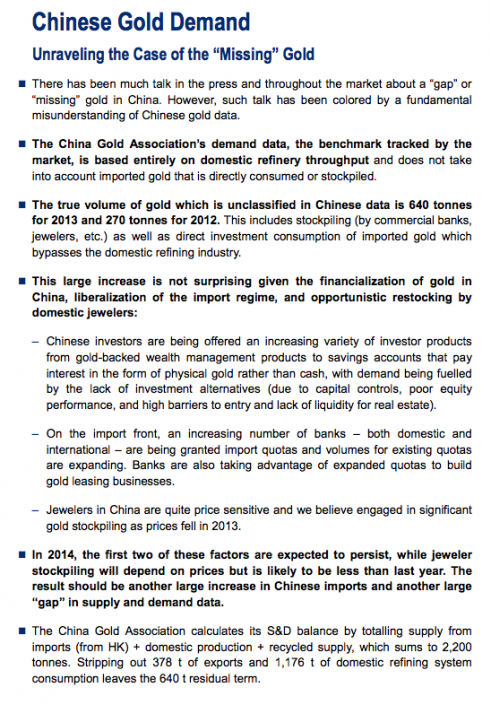 February 27 Citibank came out with a report named “Chinese Gold Demand: Unraveling the Case of the Missing Gold”. In my opinion this analysis is actually a step in the right direction; Citi acknowledges Chinese supply and demand was 2200. In 2013 SGE withdrawals accounted for 2197 mt, these numbers are clearly related. 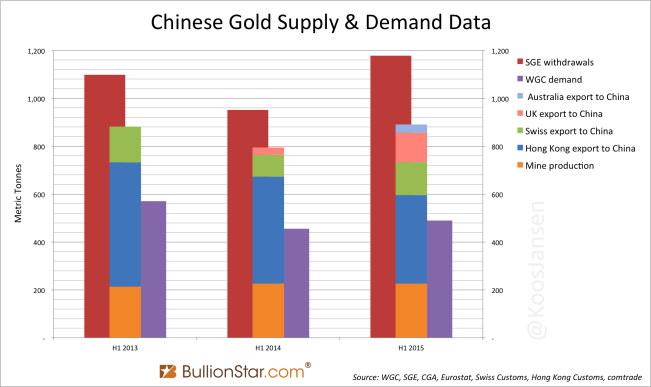 The formula for the Chinese gold market is: total supply = mine + import + scrap = SGE withdrawals = total (wholesale) demand. 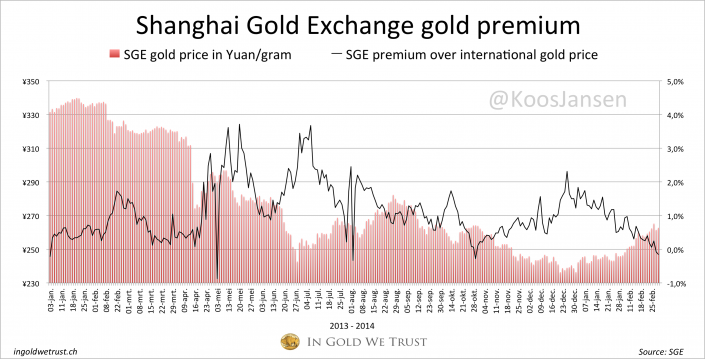 Simply because of the structure of the Chinese gold market. However, this is where Citi and I split up. 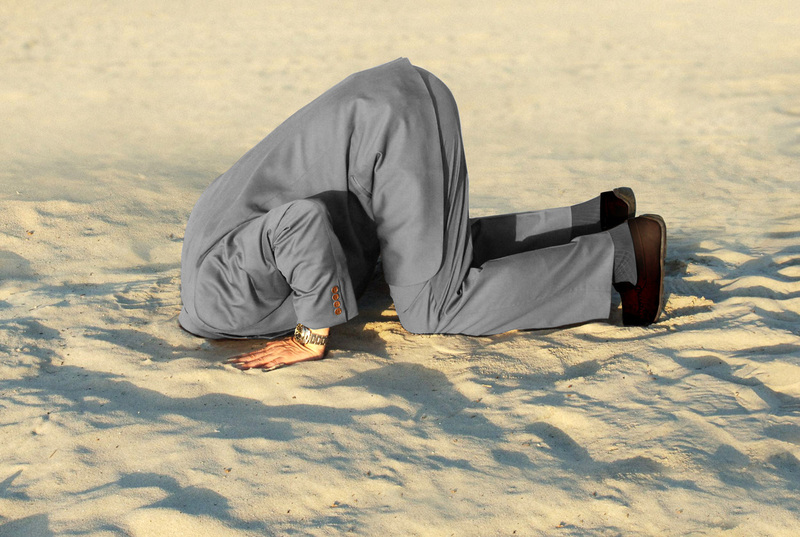 I called Citi and I spoke directly with the analyst from the report. What surprised me was that this gentleman had never heard of SGE withdrawals! Hence our dispute. First let’s get their numbers straight. They don’t disclose all the numbers on the supply side, but I zoomed in on the chart and calculated the amounts by measuring how many pixels each bar counted, compared it to the scale etc.. The outcome on the supply side is roughly: scrap 240 mt, gross import 1480 mt, mine 420 mt. 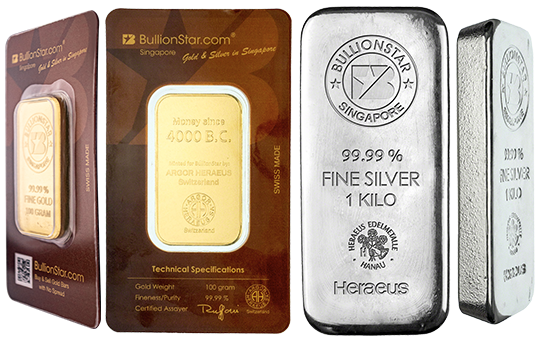 The demand side: consumption 1176 mt, gross export 373 mt, residual 640 mt. In the chart above gross import is in fact net import. 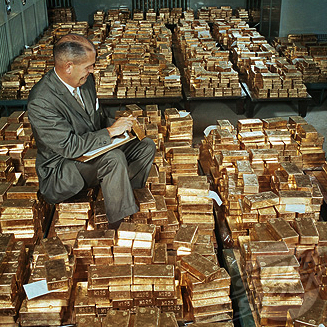 Very little of the gold exported from the mainland to Hong Kong was bullion withdrawn from the SGE vaults. A very long and complicated story short: In the mainland there are two types of trade, general trade and processing trade. 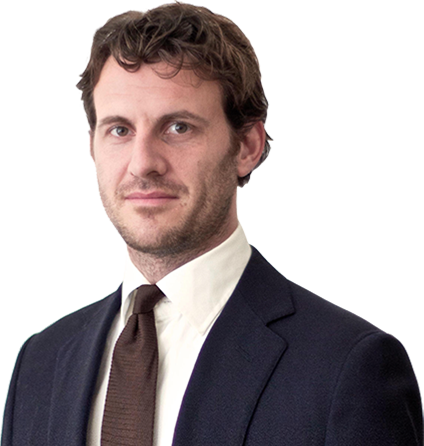 General trade can be considered as normal trade. 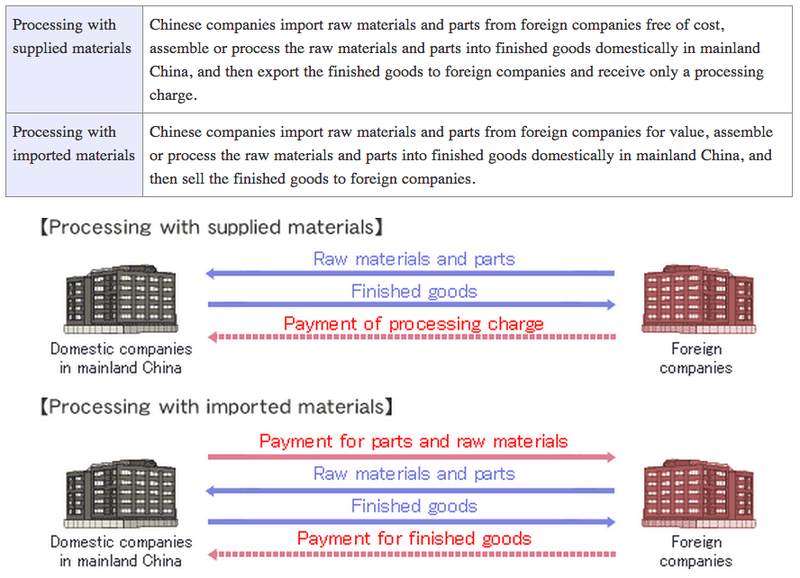 If gold is imported in general trade this is required to be sold through the Shanghai Gold Exchange. Only 11 banks have general trade licenses from the PBOC, though for every shipment they need anew approval. 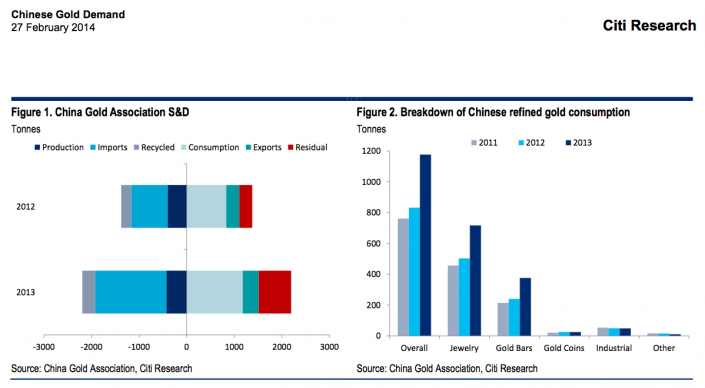 It’s not likely the PBOC would approve gold export in general trade. Processing trade is something else. In this trade form raw materials from overseas are imported, processed into products and then these products are exported again. 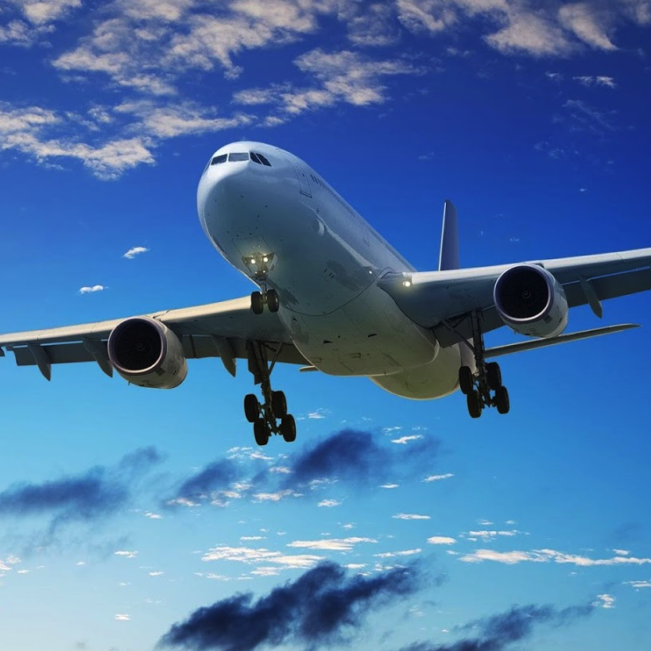 This processing can only be done in Customs Specially Supervised Area’s, or CSSA’s. 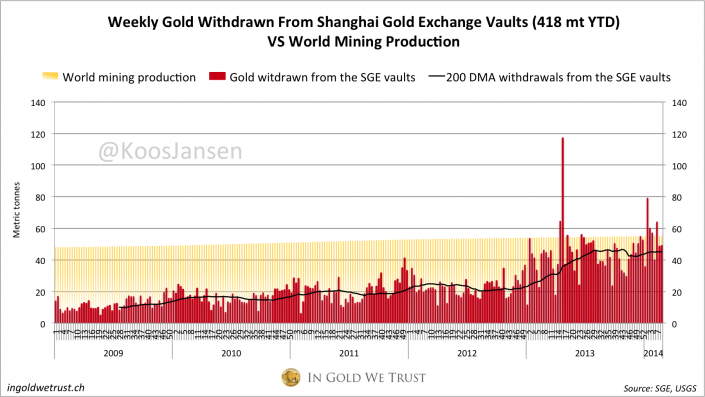 Processing trade doesn’t require a permit from the PBOC, as the gold that is imported will be exported after being processed. 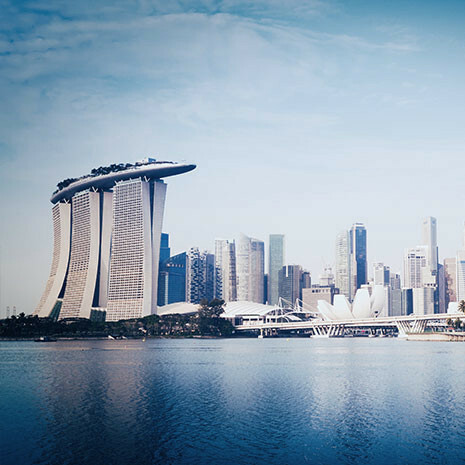 An example for a processing trade would be; gold is imported in Shenzhen, fabricated into jewelry and then exported to Hong Kong. 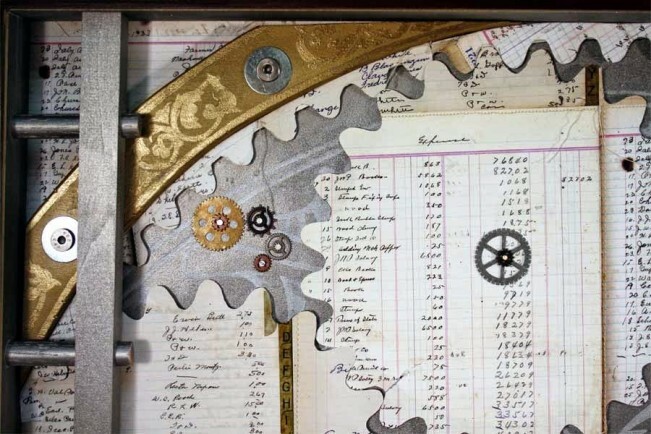 The trade would show up in Hong Kong’s customs report. In 2014… the result should be another large increase in Chinese imports and another large “gap” in supply and demand data. Another large gap in supply and demand? Really? 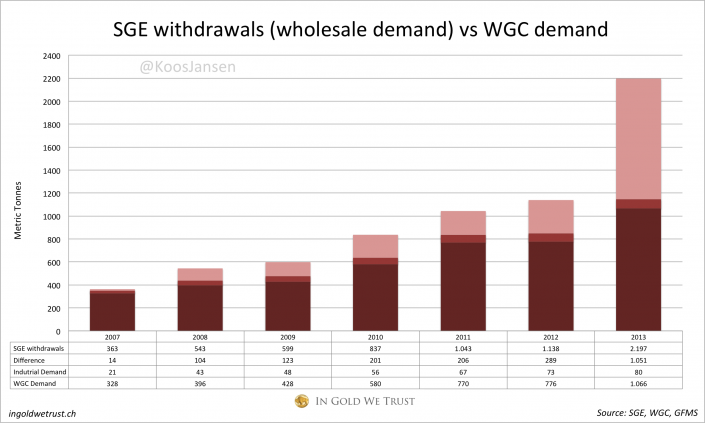 When I called the SGE in November 2013 they told me this gap (some call it residual, some net investment) is just individual account holders at the SGE withdrawing physical gold from the vaults. So residual demand is just direct investment and we shouldn’t treat it as a demand category that is insignificant.